If you’re looking to boost + monetize your Intuition, you’ve come to the right place! Welcome to Rock Your Intuition, a program that will give you all the tools you need to start using your intuition the way you were MEANT to. I’m not saying that you’ve been struggling, but maybe you’d like everything in your life to be easier. And not just rock-star parking spaces. … the very best “new” anything, from a car to a mentor to produce at the market. Could you use any of that? Yeah, I thought so. Who couldn’t, right? Hi, My name is Elizabeth Locey, and I want to make your life easier. BETTER. With intuition. Before I created a 6-figure business in 23 months as a Spiritual Business Coach + Akashic Records Consultant for Visionary Leaders, I was an award-winning professor for 13 years. My c.v. was impressive: dissertation directed by a top name in the field, landed a tenurable position with my first interview, monograph book manuscript published by a major university press the very first time I pitched it, department chair at age 35, and the same day I took that office I was also installed in the #3 position in my international professional organization. These things just don’t happen, and I never dared mention them when I was still an academic. Why? Because if my friends and colleagues had known that the things they struggled so desperately to get, year after year, had landed in my lap wrapped in a big ol’ satin bow, they might never have spoken to me again. Compared to theirs, my life was pretty charmed. And yet it didn’t feel different to me. That’s just how it always was. Without even knowing it, I was guided. I was using my intuition all the time. I got the opportunities no one else did because I unconsciously knew to be in the right place at the right time. I knew to say “yes” to all the right things, even when they looked like the wrong things. And then, when my life as an academic no longer felt charmed, I knew to get out. But I knew I was on the right track, because I was happy again. Sure, I had to downsize my life quite a bit, but I was no longer experiencing struggle on the scale I had experienced in my last 2 years as an academic. Once again, things just started to FLOW. And within 2 years of deciding what I wanted to do, I had done it: created a global six-figure practice, doing what I LOVED, living my purpose full-out, and working only with people who thought I was amazing. That, dear friend, is what is possible when you start Rocking Your Intuition! If you want some of that action, check out my new Rock Your Intuition program. More fun! A main benefit of using your intuition anywhere and everywhere is that you can relax and have a lot more fun—woo hoo! The exercises I personally use every day to connect to my Guides, stay in the flow, and get on-the-spot answers that are also spot-on, to make solid decisions FAST and move on to the next thing. This is an invaluable tool in business, life, … everywhere! A slew of mediation techniques to keep your channels open; even if you think meditation isn’t for you, I guarantee you’ll like the one that you can do anytime, anywhere in only 20 seconds and without pulling out CDs or a meditation cushion! You may know that I traditionally work with visionary business leaders and entrepreneurial change-agents to help them create more visibility and a bigger global impact. AND: I know, in my bones, that intuition—as necessary as it is to running a successful business—is also that thing which allows the best of everything to flow to you effortlessly. I use intuition all the time. In my business, sure, but also every minute of my day, whether I’m in my office or not. I use my intuition when deciding which friend to call when I find myself with 10 free minutes. When deciding which route to take in my traffic-plagued city. When buying a house, a car, a computer, a new outfit or pair of shoes. My intuition tells me when my dogs have escaped the yard, when my daughter is in pain, when the gas stove wasn’t turned off all the way, even before I can smell it. Intuition is an essential survival skill, both within and beyond the confines of a business. It’s right there in front of you. Why not use it? I want everyone who has big dreams to make good on them. I want the world to be a more open and tolerant place, with more laughter and less oppression. I want struggle to become a thing of the past: for everybody. The very best way I know how to do all this for people is to channel answers from their Akashic Records. And I do that for a lot of people. However, there aren’t enough hours in the day for me to channel for 7 billion and still make dinner + time to spend with my gorgeous 8-year-old daughter. So what’s a visionary to do? Teach people to use their intuitions, of course! I want to teach as many people as possible how to use their intuition so that they can move in perfect alignment with the Divine Plan they set into motion before incarnating this time around. 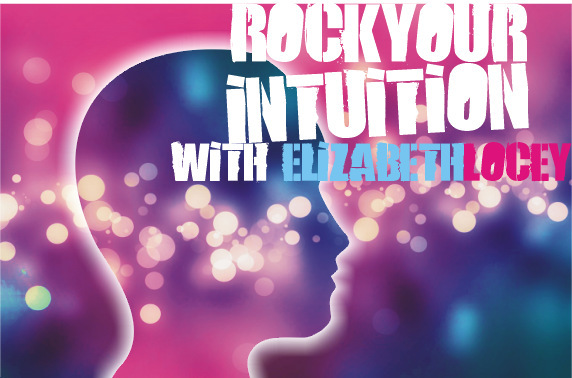 So I invite you to join me in the Spring 2014 Rock Your Intuition! program. If you know, in your bones, that this is for you (you’ve got butterflies, goosebumps, your heart is beating faster, you’re smiling or leaning forward as you read this), go ahead and click the “Buy Now” Button. 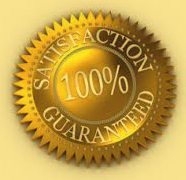 The guarantee is outlined just below. I’ve even got some payment options for you. If you think this may be for you, I invite you to do the Human Pendulum exercise I’m always raving about. What better way to decide whether or not to take a class on intuition than with an intuitive tool! Take several deep, connecting breaths, set the intention that a clear answer will come through, and hold the paper, with the writing facing in, to your solar plexus. Then close your eyes and take a d-e-e-e-e-e-p breath in as you rise up onto your toes. Keeping your eyes closed (this takes your brain out of it), hold your breath and the position for a few seconds, then go back to flat feet as you release your breath. Open your eyes and notice your body’s position. Are you leaning forward or backward? If forward, your body (read: intuition) is saying “yes!” to what’s on the paper. If backward, you are being repelled. Easy-peasy! Facebook Forum for Connections/Support: ??? That’s well over $1000 worth of access to me and my hottest intuitive tools and secrets. BONUS: Bring A Friend for $100! Developing your intuition is best done in good company, so why not bring a friend to act as your “intuitive playmate?” She or he can also be an accountability partner in the program and beyond. Find out more on the payment confirmation page. I want this to be the best possible experience for you. My promise is that if this program does not bring you anything useful, you can let me know after 3 class meetings that you intend to request money back. You must provide evidence of having attended all of the classes, done the homework, and participated in the Facebook forum. Keep on Rocking your Brilliance… AND your Intuition!